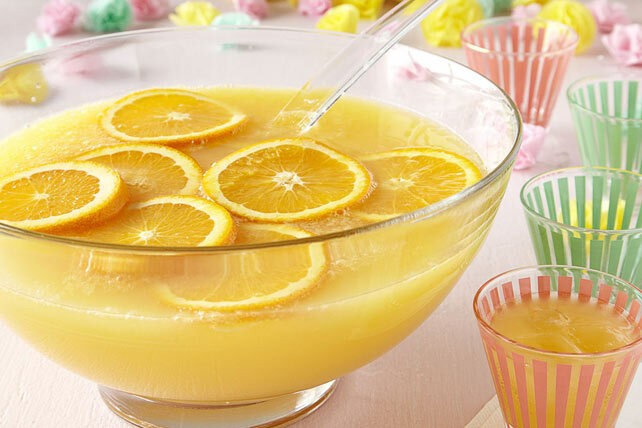 Bring out the punch bowl for this bubbly beverage with a citrus kick. It's perfect for brunch or your next family gathering. Add juice concentrate and water to drink mix in 2-L plastic or glass pitcher; stir until mix is dissolved. Refrigerate 30 min. Pour into punch bowl just before serving. Stir in club soda. Add orange slices. Since this flavourful punch makes 12 servings, it's the perfect beverage to serve at your next brunch. And as a bonus, the orange juice provides an excellent source of vitamin C per serving.